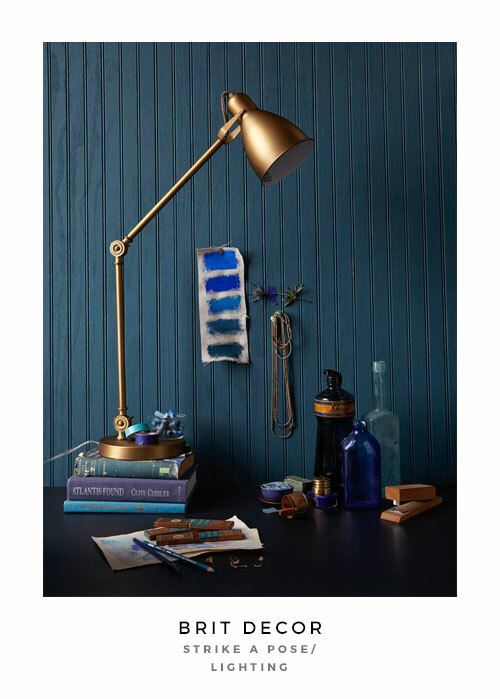 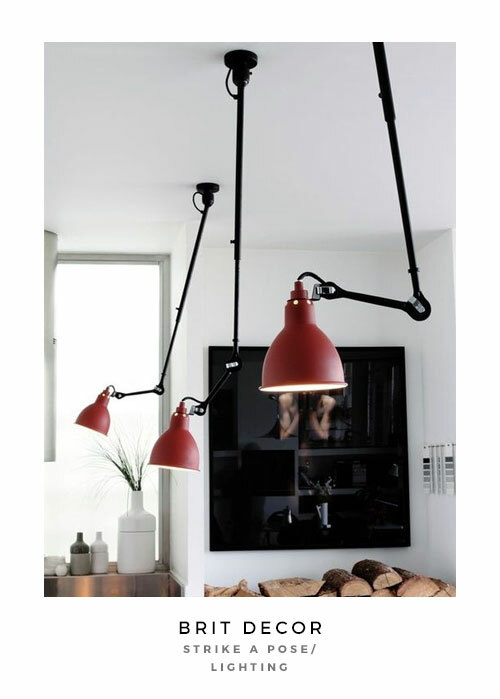 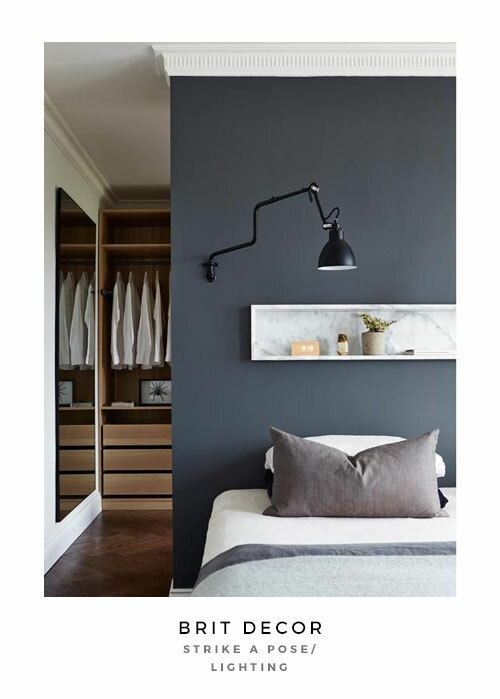 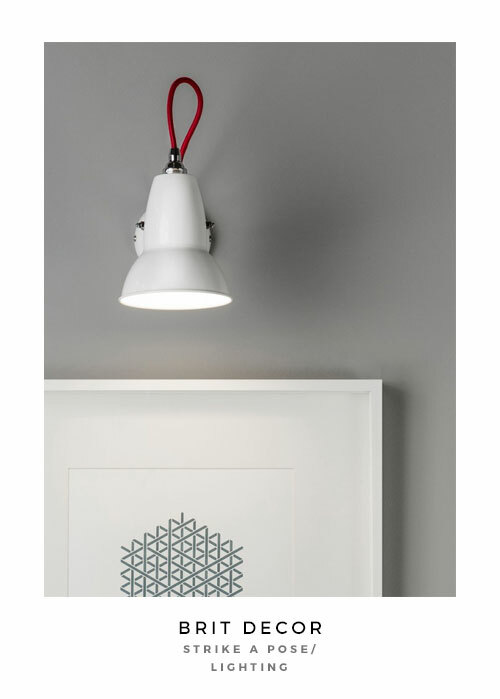 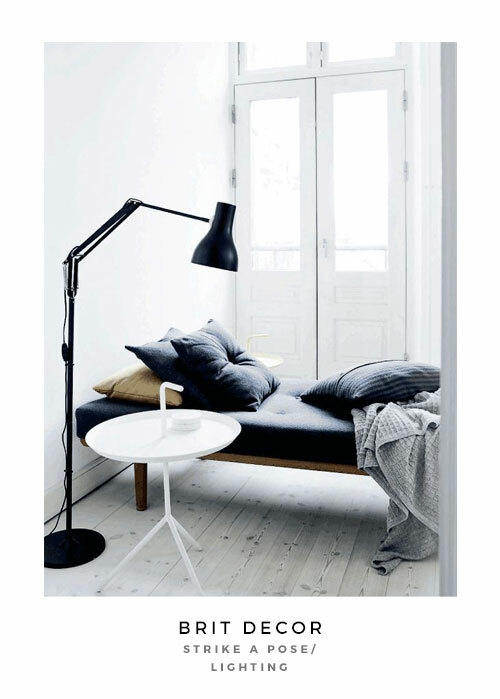 Considering the trusted and now instantly recognisable Anglepoise lamp originally started out as a practical application designed in the 1930's by British designer, George Carwardine, (in my home city of Bath, no less), its since done rather well don't you think? 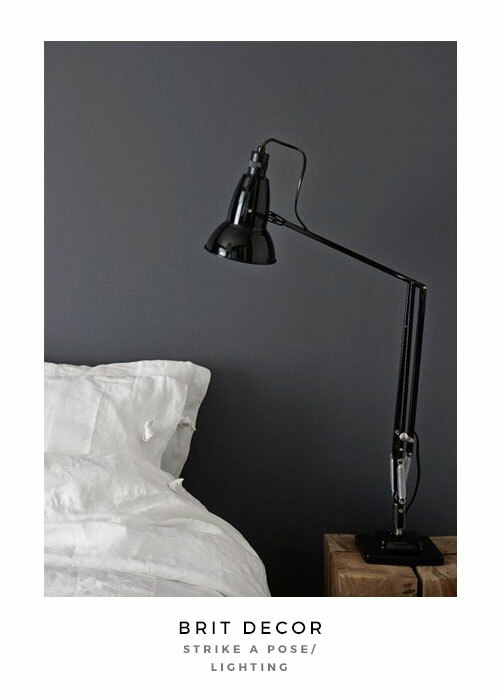 As somebody who constantly loves to 'tweak' my interiors, I've always found the flexible arm movement of the Anglepoise perfect for those subtle adjustments - from a long and elegantly stretched 'look', to a folded angular form, this is a truly versatile design. 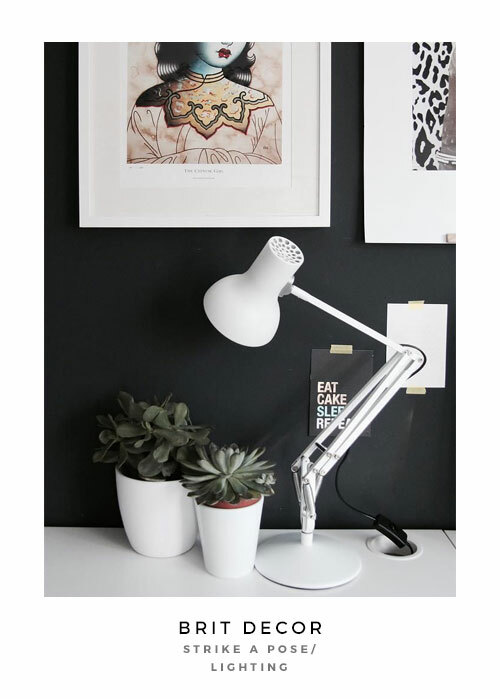 The zig zag contour of the Anglepoise and its many equivalents also lends to the perfect contrast when juxtaposed against both plain and patterned backgrounds, plus its architectural framework will always cut a confident silhouette in any setting. 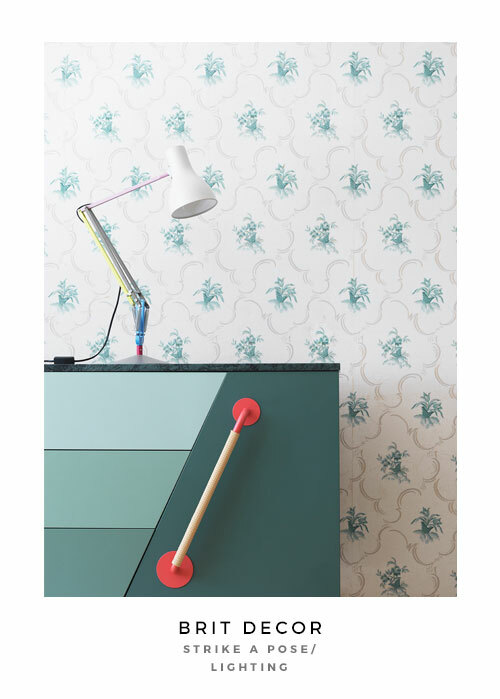 Brit Decor: Totally tropical moment! 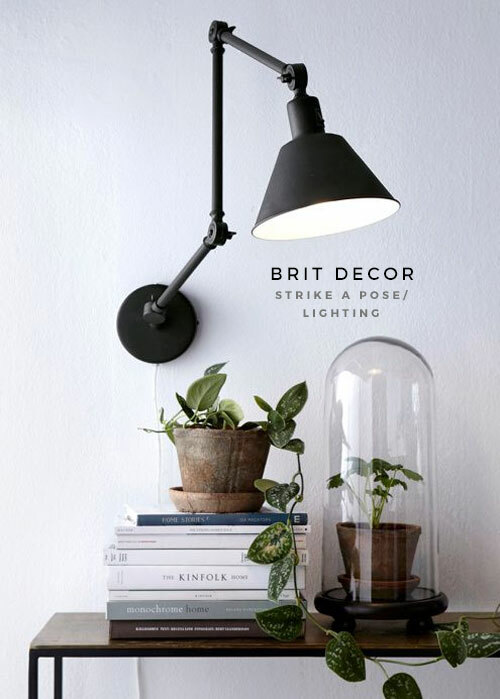 Brit Decor: 'mazing Monochromes/ How to Wow!